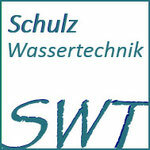 SWT = competence on nature-orientated purification of wastewater and decentralized concepts for sanitary environmental engineering. Our predominant choice for private and public wastewater treatment is constructed wetlands. We planned, commissioned and accompanied a hundreds of plants. If there is enough space in the surroundings, wastewater treatment by constructed wetlands are unbeatable. Further, if the place chosen is graded downhill, these plants run completely energy-sufficient. Constructed wetlands and planted soil filters are robust and run stable at extremely low operating costs, are durable and usually meet strict limits concerning COD, BOD, nitrogen, phosphorous and nutrients. Located in the middle of Germany near Frankfort International Airport FRA, allows us to work quickly with you to determine the needs of local conditions.